Among a series of ‘technical notices’ outlining their mitigation plans for a no-deal Brexit, ministers revealed the UK could be left with no environmental regulator for months after March 2019. If the Government grasped the scale of the environmental challenges we face, it would have started preparations for a new regulator back in 2016. Ministers’ abject failure to put anything in place before next summer at the earliest puts our rivers, fields, forest, seas and wildlife at serious risk. I have written to the Department for the Environment, Food and Rural Affairs (Defra) asking for details of interim measures to protect our natural world. Responding to a previous Parliamentary Question I asked, ministers revealed this week that no one from Defra has met with World Trade Organisation (WTO) officials. This department could soon be responsible for 41 per cent of food imports. Their failure to discuss Brexit plans with the WTO is grotesquely irresponsible. On Wednesday I responded to the Government’s new Agriculture Bill, welcoming the end of subsidies for wealthy landowners and ideas for encouraging farmers to improve our environment, but warning that promised payments for 'improving productivity' could end up accelerating industrial agriculture's destruction of nature. We need a robust and independent system for determining what farmers are paid for to ensure public money doesn't reward tokenistic gestures - such as having a wind turbine while continuing to drench fields in pesticides. This new system should be designed to dismantle the industrial agriculture that is destroying nature and wildlife, and encourage smaller-scale, sustainable farms with the highest animal welfare standards. That evening I spoke at an event in Parliament hosted by Our Future Our Choice – an inspiring group of young people from across the country campaigning for a People’s Vote. We talked about the impact of leaving the EU on women and discussed how to give those who’ll have to live with the consequences of Brexit a voice in the debate. Last week I was interviewed across the BBC about their finding that the number of fines for littering in Brighton had risen from 91 to 3,064 in two years under 3GS – a private company in charge of policing littering in the city. I’ve heard from constituents who’ve faced over-the-top fines for innocent mistakes, and small businesses who’ve been sanctioned because their packaging has been found in the wrong bin. We all want people to put things in the right recycling bins, but people should be given more warnings. The council should bring this contract back in-house and should be explaining more rather than taking such a draconian attitude. Last Tuesday I was among just 10 MPs who voted against the Government’s dangerous Counter Terrorism and Border Security Bill – which criminalises curiosity, humour and sarcasm. I wrote for the Huffington Post on why measures that undermine our right to access information, name our fears and laugh at those who seek to scare us only risk giving terrorists exactly what they want. 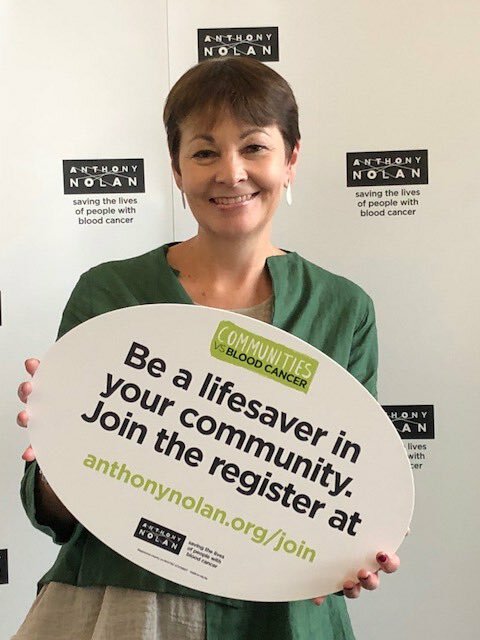 Lots of constituents asked me to attend a parliamentary event organised by Anthony Nolan, who campaign – among other things – for stem cell donation to help those with blood cancer and blood disorders. Brighton Pavilion has the third highest number of donors in the South East and if you’d like to find out more please visit here. Thanks to everyone who lobbied me about the pensions dashboard – a helpful and accessible way for everyone to keep track of whether they are saving enough for their retirement. Thanks to your efforts in pushing MPs like myself to speak up in Parliament, the Government has abandoned its plans to scrap the dashboard, which is very welcome news. Investment bank Lehman Brothers collapsed 10 years ago last week – marking the beginning of a decade of austerity and a financial crisis we’re still feeling the effects of today. I joined fellow members of the Green New Deal Group and cross-party MPs in calling for a major programme of investment in green infrastructure to create good, sustainable jobs in every constituency. The Guardian published our joint letter setting out our plan to build a more resilient economy and help prevent another financial crash. I love Brighton and Hove’s pubs and know both how much pressure they are under and what an important role they play in our communities. The Chancellor is currently considering whether to increase beer duty and I have written to urge him to cut it instead. As it stands, for each pint sold a third of the price currently goes towards paying taxes – namely VAT, Beer Duty, and Business Rates. Increasing Beer Duty by 2p per pint will subject the industry – which includes many small, locally owned pubs and breweries – to a further and unsustainable financial squeeze. The UK has one of the highest Beer Duty rates in the EU, paying 40 per cent of all Beer Duty while only consuming a 12 per cent share of its of beer. With local pubs continuing to close at an alarming rate while drinking at home gets cheaper, it’s vital we cut Beer Duty. On Wednesday I attended an important debate in Parliament on the Government’s decision to allow fracking in Lancashire, against the wishes of the local community. Energy Minister Claire Perry MP refused to let me speak in the debate – but I later joined Frack Free Lancashire’s 100 women for a protest on Parliament Square. 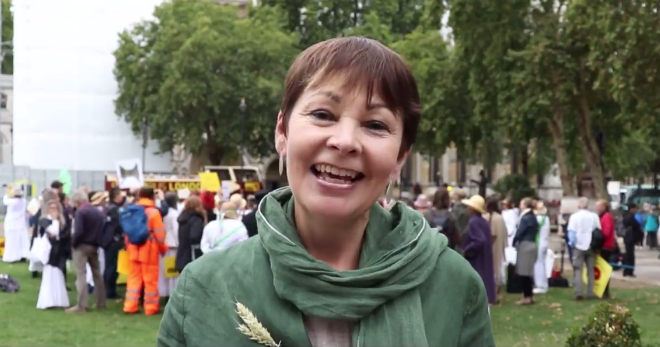 Watch my video from the day to find out more about our plans to stop fracking. I will be pushing for a full debate in the House of Commons on the Government’s dangerous and anti-democratic decision to give the go-ahead to a new fossil fuel industry. Last Tuesday was World Suicide Prevention Day. I was among over 130 politicians, broadcasters, authors, journalists and campaigners to sign an open letter calling on the nation’s media to lead the way in changing how the country talks about suicide. Our letter underlined the fact that responsible reporting can help prevent suicides and asked editors and producers to make simple changes, such as avoiding the phrase “commit suicide”. We can dramatically reduce the number of people taking their own lives – and the way we talk about suicide is key.